At City Market/Onion River Co-op in downtown Burlington, Vermonters can expect to see a hybrid mix of grocery offerings — from Kellogg’s to Kombucha. “The Frosted Flakes are next to some … very different options,” says Allison Hope, the co-op’s director of community engagement and an employee of 14 years. Because the shelves mix low-cost items with local produce, she says shoppers are bound to find foods containing genetically modified organisms (GMOs) sitting right next to foods verified by the Non-GMO Project. The labels certainly led to "more in-depth conversations" with customers, she says. The simple disclosure “Produced With Genetic Engineering” plainly appeared on the packaging of GMO goods — at least while the law existed. A mere month after the Vermont law kicked in, it was rendered moot when President Obama signed national labeling legislation into law. With the national GMO law's standards becoming finalized in the coming weeks, researchers are looking back at Vermont's brief labeling period with renewed interest. The short-lived Vermont law provided a perfect natural experiment, allowing scientists to easily compare consumer attitudes toward GMOs in the lone labeling state to those in the rest of America. And what they found may surprise you. Rather than balking at GE products, shoppers actually put more trust in GMO foods after they were labeled, according to a study from the University of Vermont. The researchers had expected “that mandatory labels would serve as a warning label to consumers,” said Jane Kolodinsky, chair of the university's Department of Community Development and Applied Economics, and lead author of the paper. “We found that it goes to the other end of the spectrum a little bit, and actually improved consumer confidence,” she said. Published in the journal Science Advances, the research examined data from more than 7,800 phone surveys, which measured attitudes toward GMOs in the years immediately surrounding Vermont’s 2016 GMO labeling stint. By comparing the relative change in attitudes between Vermonters and the rest of America, they found that opposition to GMOs in Vermont dropped 19 percent in the year after labeling requirements took effect. “This is really the first ‘reality check’ on how labels actually impacted consumer attitudes,” said Kolodinsky, noting that prior research on GMO labeling “has relied on hypothetical situations,” in experiments where participants are shown mock labels. Kolodinsky and colleagues have now shifted their efforts to analyzing supermarket purchase data, with hopes that they can see if sales of GMO foods actually changed during the labeling period. While assessing attitudes of consumers is undoubtedly important, “the rubber hits the road when you look at what happens to sales,” she said. 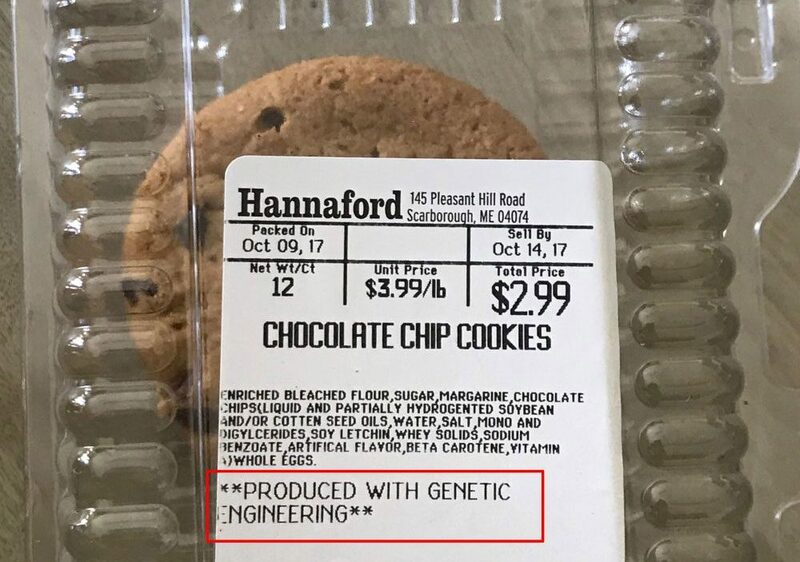 As to why the label disclosures improved attitudes toward genetically engineered food, the authors say only future research can say for sure. However, they note that some studies suggest GMO labels may afford consumers a sense of control, which can influence how they rate the riskiness of a product. The release of this research comes at a pivotal time in the national GMO labeling debate, as the U.S. Department of Agriculture recently proposed rules for putting Obama’s 2016 mandate into action. The docket, “Establishment of a National Bioengineered Food Disclosure Standard,” is open for public comments through Tuesday, July 3. While some proponents may find this progress toward labeling encouraging, other advocates claim the USDA has not done its duty. They cite unfamiliar terminology— like "bioengineering;" lenient exceptions for certain GMO products; and digital QR codes, which prompt shoppers to “scan here for more food information,” instead of upfront admissions. “The word 'bioengineered' is a diversionary term from what consumers usually know - GMO - … This is an obvious attempt of major food and seed corporations for a work around to the labeling requirements,” Allen writes. She added that her paper’s findings support the use of simpler, clear disclosures. “There’s no need to make labels complicated or supply QR codes or SmartLabels or so on,” she said. The Kolodinsky study reaffirms that GMO labeling does not hurt brands or discourage shoppers; it simply provides information in a market that increasingly values ingredient transparency. According to data presented in this study, the average Vermonter (and American in general) is still slightly averse to GMO foods. For residents like Alexander Ralph Bevan Meima of Brattleboro, it seems a desire for clarity is key. "Knowing what is in [our] food ... is very important for Vermonters, it’s in our culture to care about each other," he said. The Danger Of GMOs: Is It All In Your Mind? Justin Kaplan is a summer fellow at WBUR, covering science and health for CommonHealth.